In this paper the method of increasing the reliability of the geodynamic control through the introduction of new methods of measurement and control. The proposed method is based on the equipotential geoelectric method to the registration of the phase characteristics of an elliptically polarized field and contactless transformer sensors. The proposed changes can not only get rid of the shortcomings inherent in the electric survey equipment, but also by elements of the measuring path redundancy to improve the reliability of the system. Schemes of combin-ing the elements of the measuring path of geodynamic control and graphics probability of failure-free operation of the system geodynamic control before and after the application of a technique. We show that the proposed method of measurement and control increases mean time to failure with probability 0.9, and 2.25 times of 6.75 years. Keywords: geoelectric monitoring system, monitoring system, geo-ecology, geo-ecological monitoring, equipotential resistivity method, reliability, increased reliability. Dorofeev N.V., Orekhov A.A.Exchange of information in the system of the geodynamic control // Technology of Technosphere Safety, 2012, № 4 (44). Orekhov A.A., Dorofeev N.V. Information-measuring system for geoelectrical monitoring of geodynamic objects // Radio Engineering and Telecommunication Systems, 2012, № 2. Orekhov A.A., Dorofeev N.V. The organizational structure of geo-environmental monitoring of geodynamic objects // Technology of Technosphere Safety, 2012, № 4 (44). Kuzichkin O.R., Kuligin M.N., Kalinkina N.E. Register of geodynamics surface roughness in electrical prospecting equipotential method // Methods and means of communication and information processing. Vol. 1. – St. Petersburg: Gidrometeoizdat – 2001. 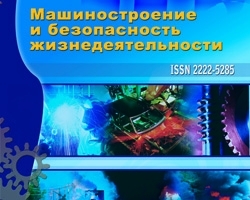 Orekhov A.A., Dorofeev N.V. Geoelectric method of quality control water objects // Engineering industry and life safety, 2012, №2. – P. 33-35. Dorofeev N.V., Increased reliability of geodynamic control system through the use of new techniques for measuring and monitoring, №4 (14) 2012, Orekhov A.A.